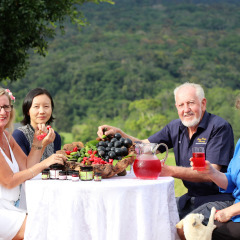 Departing from Port Douglas or Cairns, our Outback Tropical Foodie Tasting tours for adults bring a unique, personal touch to a Far North Queensland outback and tablelands experience. 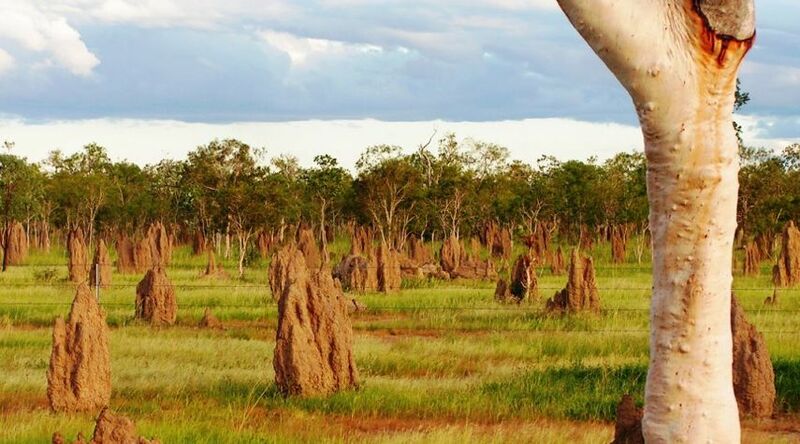 If you prefer a glass of wine rather than the smell of cattle, if you want to fill your stomach with gourmet produce rather than sausages and bread, if youâ€™d rather admire the outback and pastoral lands from a comfortable vehicle than get sunburnt, then this Outback food tasting tour experience is for you! 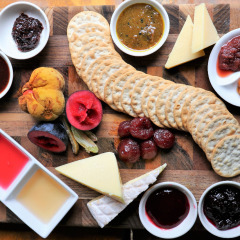 Ideal for the foodies, or anyone looking for a unique experience away from the tourist trail to taste the delights of local grown and loving made products. This small group full day tour starts at 8:30am from Port Douglas or 8:00am from Cairns so you can enjoy a later start to your day with a return time of 5:30pm just in time for sundowner drinks at your holiday accommodation. 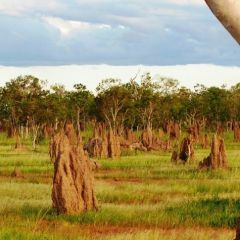 Departing from either your Port Douglas or Cairns holiday accommodation, below is a summary of what you will experience on your full day outback food tasting adventures or what we like to call it our "Tropical Cuisine Foodie Tour" with your very own personal tour guide. 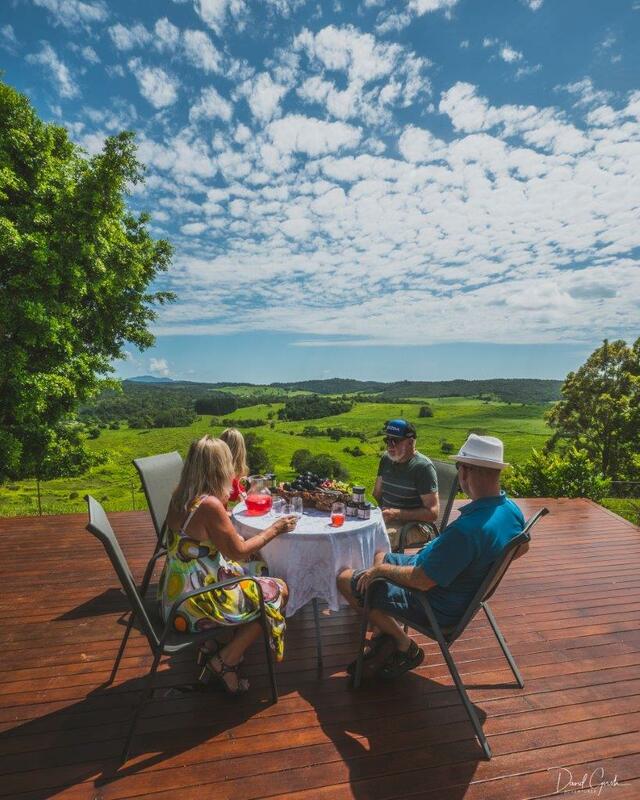 Your guide for the day will take you and 11 other guests (adults only tour - must be over 18) to some amazing places where you will sample some fantastic produce from the Atherton Tablelands region in Tropical North Queensland Australia. This Adults Only Port Douglas tour runs from Tuesday to Saturday during peak season (June to October) and on Tuesdays, Thursdays and Saturday the rest of the year. 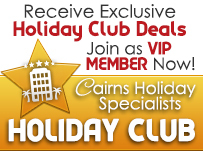 The Cairns tour runs all year round Tuesday to Sturday. Jaques Family Coffee Plantation: 3rd generation of coffee growers with 85,000 Arabica Coffee trees growing in the rich soils they produce a smooth and vibrant flavour unique only to the remarkable location. Relax in the air-conditioned theatre to watch the fascinating history of the Jaques Family and also an enchanting insight in to the finer details of coffee from the tree to the cup. We stroll through the gardens and finish our stop with a delicious cup of Jaques coffee made 'just as you like it'. 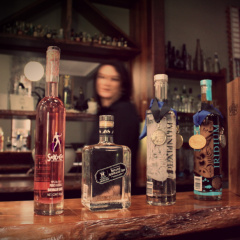 10 minutes away is Mount Uncle Distillery, North Queensland’s first and only operating distillery. It was awarded the title of Australian Distiller of the Year in 2017. The distillery takes its name from the mountain it sits on, named after the uncle of the founding pioneer John Atherton. 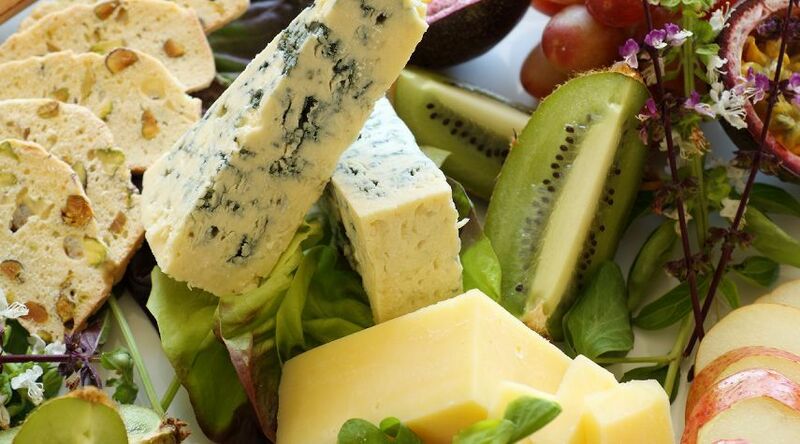 Here you will enjoy a delicious lunch of hot and cold platters made from local produce. The distillery is surrounded by coffee and banana plantations, with beautiful gardens to enjoy while you taste their award winning liquors and spirits. This is where you will stop and relax before tasting 2 of your choice of their award winning liqueurs and spirits. Also please note gluten free lunch options are available on request. Upon leaving you can pat the friendly rescue animals such as Llamas, Donkeys and Goats they house on their property. 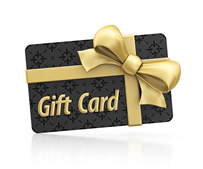 If all is going well, you may even get the chance to feed them! On our way to Gallo Dairyland we will pass the picturesque village of Yungaburra. Did you know Yungaburra village has 18 heritage listed buildings? Next stop, the fully operational Gallo dairy farm spreading across 1,000 acres of rich volcanic soil. 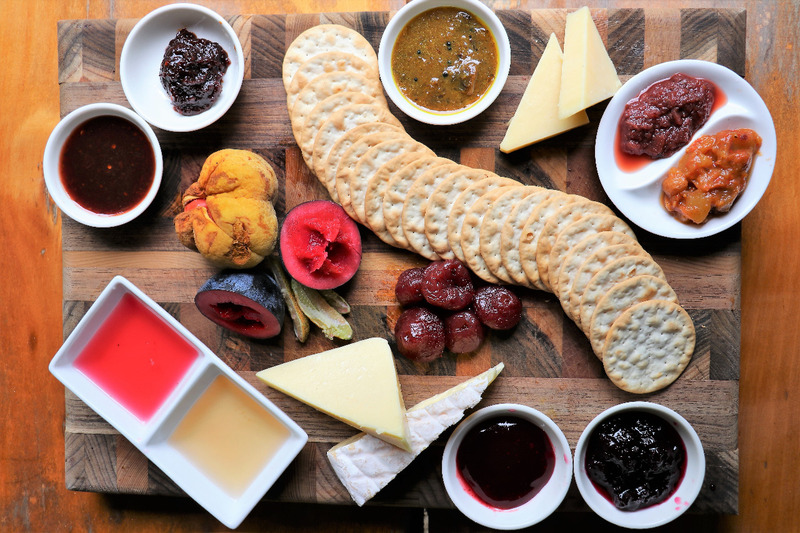 This is where you will get a chance to taste a delicious selection of local cheeses and mounthwatering Swiss style chocolates overlooking some fabulous landscapes. Gallo Dairyland also has a range of friendly animals wanting nothing more than a pat. 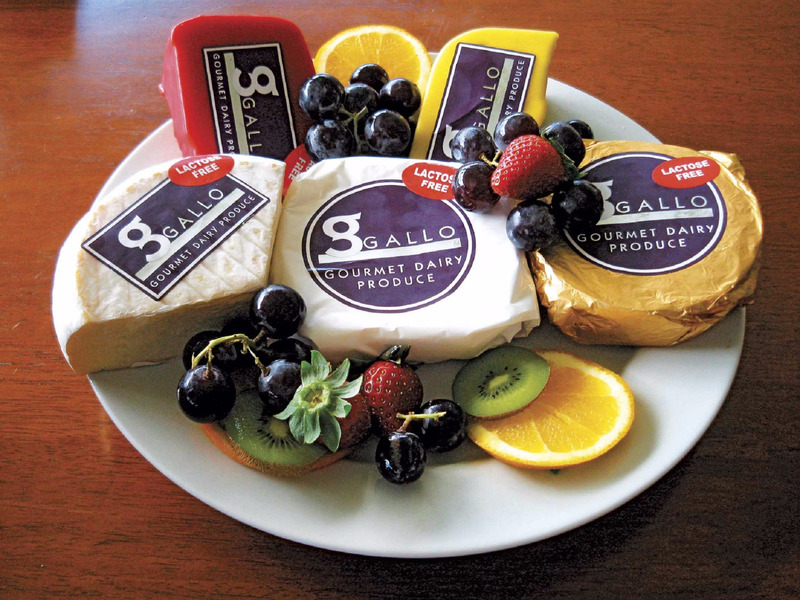 After enjoying the chocolates and gourmet cheeses at Gallo Dairyland, you will head through a patchwork of green farmland, grazing cattle and rows of different crops towards the town of Atherton to stop at ‘The Humpy’. Here you can do some shopping and sample more delicious foods, plus check out the freshly harvested produce from around the local area. 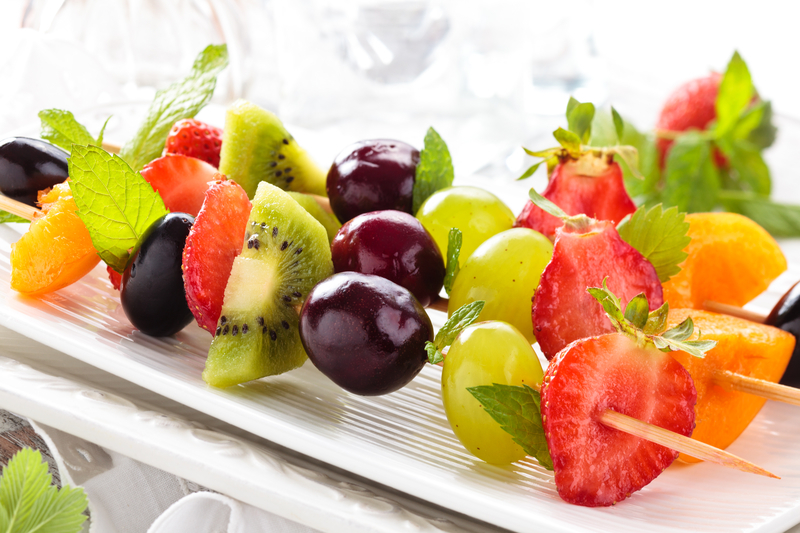 Fruits, vegetables, nuts, dried fruits, jams, sauces, organic and gluten free foods, all await you at ‘The Humpy’. 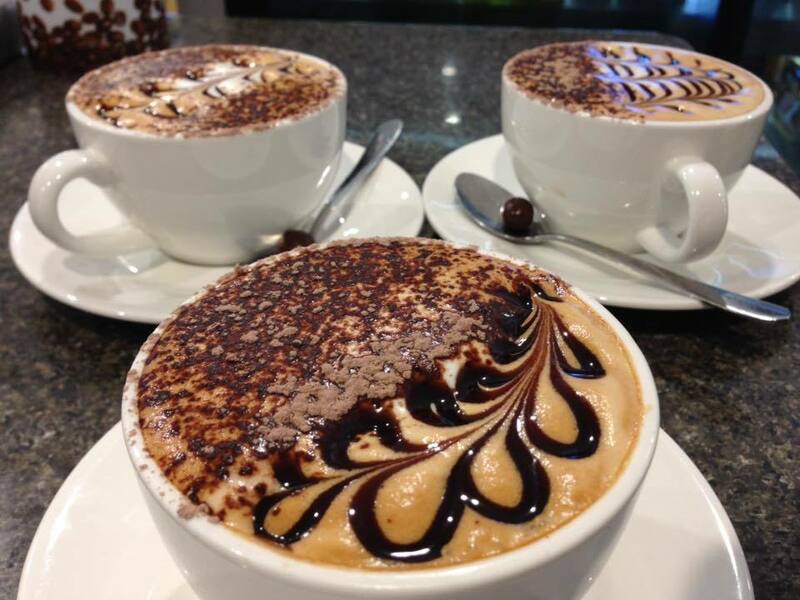 Stock up on delicious goodies here to enjoy for the rest of your stay in Cairns. 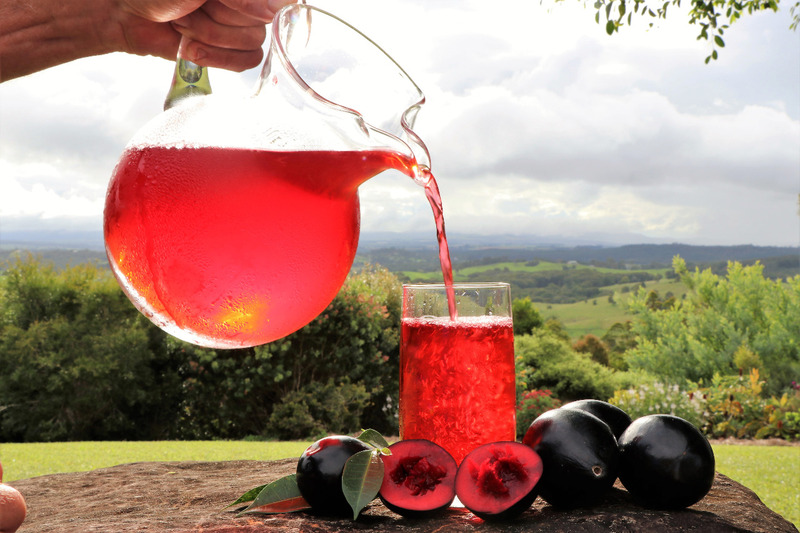 We head to Golden Drop Winery which was the first commercial Mango Winery in Far North Queensland to produce Mango wines, port and sparkling wine, as well as Citrus Cellos. You will be driven through their Mango orchards and taken to their tasting room where you will get to taste their full range. That’s 11 samples! 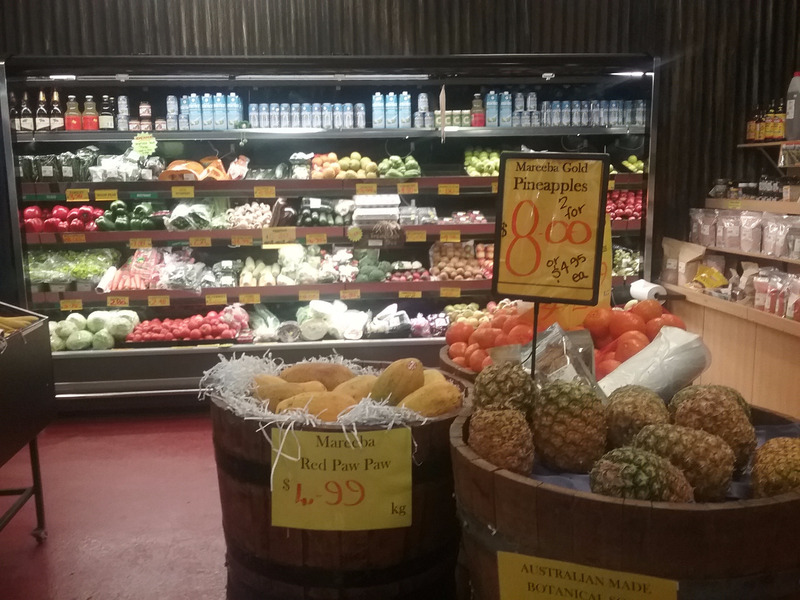 Before departing this location, you will be treated to some tropical Mango Sorbet from the Daintree Ice Cream Company. Yes, this tour is all about local and tropical foods and wine from the Far North! Now time to head across the savannah 'Outback', past giant termite mounds and classic red dirt to a unique 160 acre Private Property. This is where you can soak up the stunning rainforest and pristine environment which is a sanctuary for wildlife species. 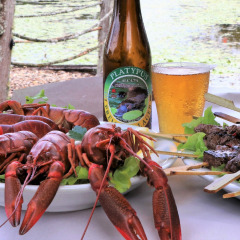 Keep an eye out for a passing Kangaroo and head down to 'The Platypus Hut' where you can sit in this tranquil setting as the sun goes down and watch for dive bombing Kingfishers and the elusive Platypus or why not dip your toes into the most beautiful mountain stream whilst tasting some Queensland wines & beer and homemade Tableland dips. Then finally after a gourmet type of day it is time to head down the Julatten Range, arriving back in Port Douglas at approximately 5:30pm. 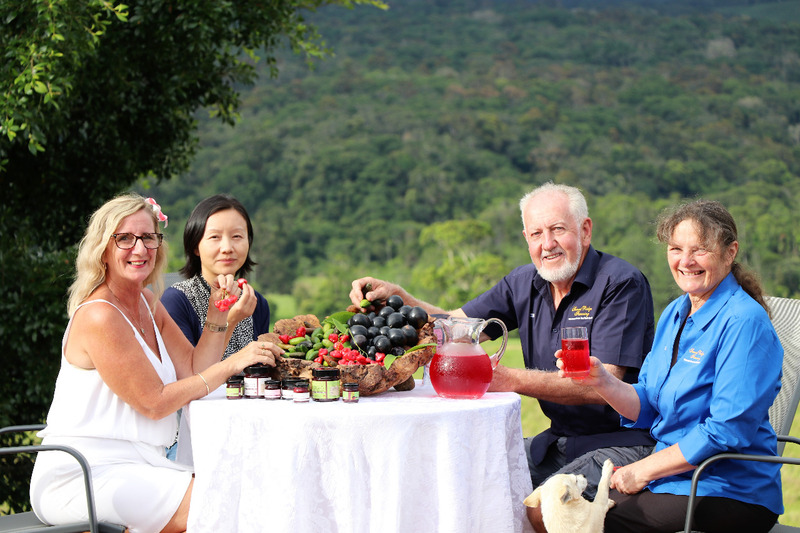 This amazing Adults Only food tour is now available departing Cairns - the perfect way for Cairns visitors to get a taste of fresh local produce, gourmet food and wines plus see the diverse scenery across the Atherton Tablelands. Keeping much of the same winning formula as the Port Douglas tour, the Cairns tour differs only slightly in the itinerary. This is due to the direction heading across the Tableleands. 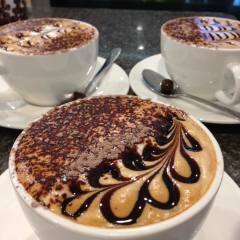 See below to find out what amazing places you will visit on the Cairns Food Tasting Tour. Heading South from Cairns you will climb the twists and turns of the Gillies Range high up into the mountains, popping out of the thick rainforest onto the Atherton Tablelands where a sea of rolling green hills will greet you. 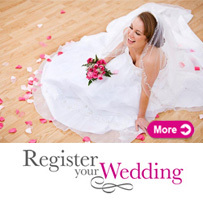 You will notice the air is cooler and fresher at this higher altitude, making this the perfect tour to escape the warmth if it is hot in Cairns. The first stop is at Sunset Ridge Farm which is Exclusive to this tour. 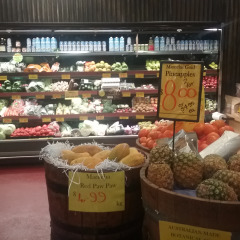 It is a family owned and run business which grows an assortment of Australian plants and fruits. 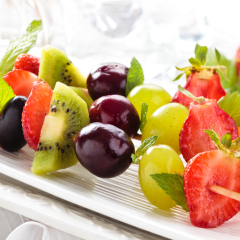 In particular native rainforest fruits such as the Davidson Plum and Lemon Aspen. Here at the top of the mountain range, overlooking lush green rolling hills on the top of a ridge, you will be served a homemade breakfast accompanied with juice, sauces and jams made from these fruits. Davidson Plum and Lemon Aspen Marshmallows and Wagon Wheels made on site can also be sampled here. 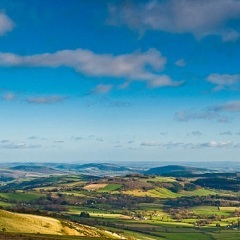 The scenery will be sure to have you feel relaxed and ready for the rest of the day. 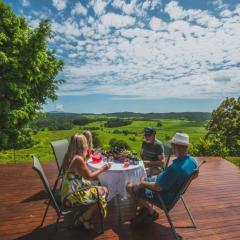 The second stop is located another private property not far from Malanda, which lines and overlooks the Johnston River. 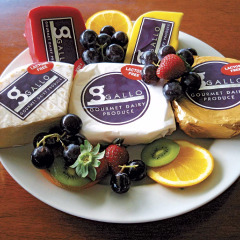 It is here under an outdoor gazebo setting that you will sample cheeses from Gallo Dairyland with Rainforest Bounty’s unique signature condiments made from Davidson Plum, Lemon Aspen, Lillypilly Rainforest Berries and Rainforest Tamarind. 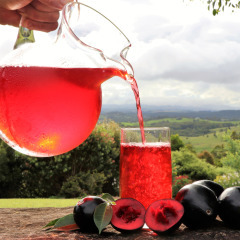 Sip on a Queensland Red or White Wine as well as try their Native Fruit Cocktail. All the while you will be taking in views of the fresh mountain water flowing over rapids in a lush green rainforest environment. Australian Platypus are known to be shy animals, but at this location they are quite active and are regularly seen by their visitors. You will be taken on a guided tour down to the Platypus Viewing Platform for a sneak peek at the family of Platypus that inhabit the spring fed pond. Also at this location, is where you will sample hand crafted smoked products served at the Smokehouse Café overlooking the lakes. The food sampled here is made all made in-house Exclusively for the tour and is made from quality Australian produce, native herbs and spices. 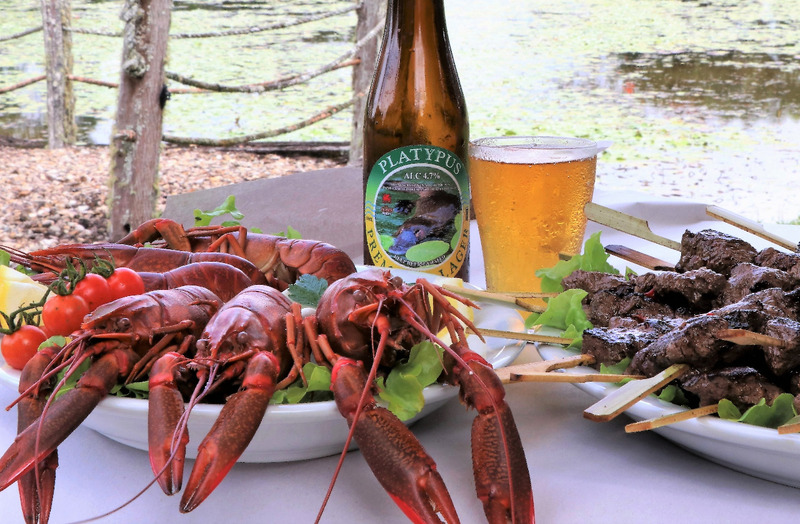 Expect to try Crocodile, Red Claw Yabby, Kangaroo and Smoked Mackerel with ‘Tarzali Lakes’ own Boutique Beer or Dragon Fruit Cider, finished off with a soothing Lemon Myrtle tea. Before departing, you will have time to purchase some of the smoked goodies to take with you. Along the way we will pass the picturesque village of Yungaburra. Did you know Yungaburra village has 18 heritage listed buildings? This is also where we briefly stop to catch a glimpse of the elusive platypus before heading to the fully operational Gallo dairy farm spreading across 1,000 acres of rich volcanic soil. 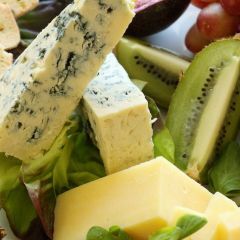 This is where you will get a chance to taste a delicious selection of local cheeses and mouthwatering Swiss style chocolates overlooking some fabulous landscapes. Gallo Dairyland also has a range of friendly animals wanting nothing more than a pat. 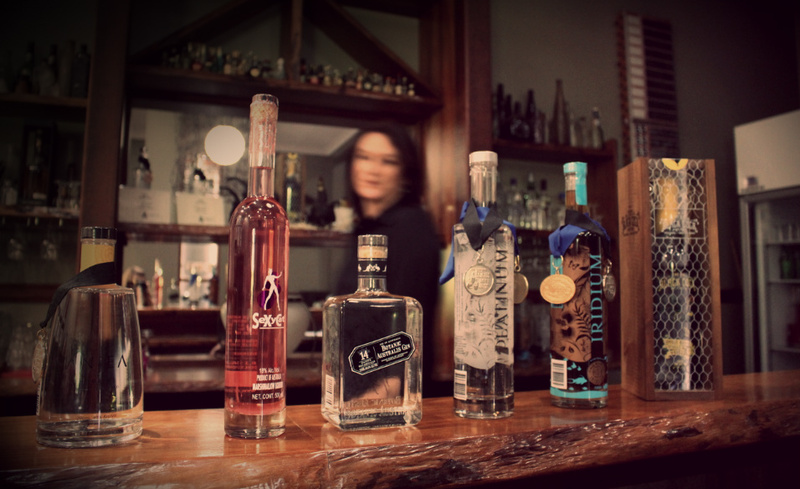 Then the tour moves on to Mount Uncle Distillery, North Queensland’s first and only operating distillery. In 2017 it was named Australian Distiller of The Year. The distillery takes its name from the mountain it sits on, named after the uncle of the founding pioneer John Atherton. The distillery is surrounded by coffee and banana plantations, with beautiful gardens to enjoy after you taste their award winning liquors and spirits. Pet some of the friendly rescue farm animals such as the Llamas, Donkeys, Goats and even Peacocks. And if timing is going well, you will have a chance to give them some nibblies too. Next stop is De Bruey’s Boutique Winery. 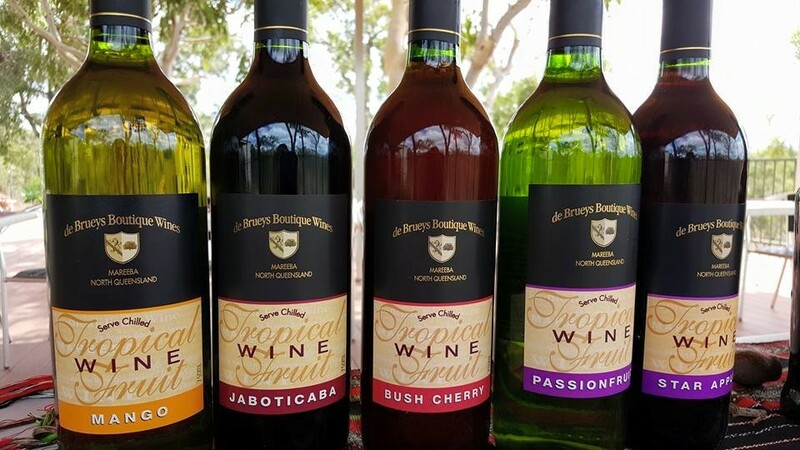 This award winning local winery has embraced the tropical climate and all its abundance by producing delicious tropical fruit wines, liquors and Ports using the lychee, star apple, passionfruit, mango, mulberry, jaboticaba, and bush cherries. 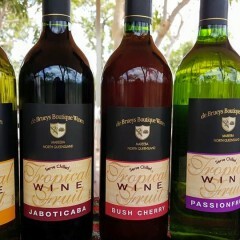 Set upon a veranda that is surrounded by Australian Gum Trees, you will try a variety of their selection. Make sure you bring along some cash or credit cards so you may purchase your favourite tipple from the cellar doors you are about to enter. Next stop is... Jaques Family coffee plantation - 3rd generation - with 85,000 Arabica Coffee trees growing in the rich soils they produce a smooth and vibrant flavour unique only to the remarkable location. Take a stroll through the gardens and fields of the Coffee Plantation and see trees full of Coffee Beans and learn about the Jaques Family and also an enchanting insight in to the finer details of coffee from the tree to the cup. It will be afternoon tea by this time, and you will get to savour the taste of Jaques coffee ‘your style’, with Jam, Cream & Scones before the return journey to Cairns. Cancellation Policy: a minimum of 24 hours notice is required for a full refund, cancellation received over 12 hours prior to departure a 75% cancellation fee applies, cancellation received less than 12 hours prior to departure a 100% cancellation fee applies. Please advise of food allergies at time of booking. Gluten free lunch options are available on request. An excellent tour. Brett was v good host.. It's wonderful to hear you had an excellent day experiencing the gorgeous Tablelands! We appreciate your feedback.